3-6: 2017 Largo Preseason Kick-Off, Largo Soccer Complex. Ages: U14-U19 Boys and Girls Teams: All USSF Affiliates. Contact: Ben Sousa or visit www.largounitedsoccer.com Approved Application to Host. 5-6: Bazooka Soccer Pre-Season Tournament. Austin Tindall Regional Park-Kissimmee,FL. Ages: U9-U19 Boys and Girls. Teams: All USSF and FIFA Affiliates. Contact: Boni Okafor or visit www.bazookasoccer.com Approved Application to Host. 5-6: The Westcoast Pre-Season Cup. Bradenton, FL. Ages: U9-U19 Boys and Girls. Teams: All USSF Affilates. Contact: Jeff Pinteralli or visit www.soccerskillsunlimited.org Approved Application to Host. 18-20: Disney Pre-Season Soccer Kick-Off, ESPN Wide World of Sports & approved off-site venues. Ages: U9-U14 Boys and Girls. Teams: All USSF and FIFA Affiliates. Contact: Mark Luster or visit www.disneysoccer.com Approved Application to Host. 19-20: 9th Annual Brevard Hurricane Classic, Cocoa Beach, FL. Ages: U9-U19 Boys and Girls. Teams: All USSF Affiliates. Contact: William Quinter or visit www.brevardsoccer.net Approved Application to Host. 25-27: Florida Elite Invitational. Earl Johnson Veterans and Palm Coast. Ages: U9-U19 Boys and Girls. Teams: All USSF Affiliates. Contact: Gennaro DellaPorta or visit www.floridaelitesa.com Approved Application to Host. 26-27: Vero Cup. Hobart Park- Vero Beach, FL. Ages: U9-U19 Boys and Girls. Teams: All USSF Affiliates. Contact: Gavin Spooner or visit www.irsoccer.com or www.kickoffsoccer.org Approved Application to Host. 1-4: 2017 Tampa Bay Labor Day Tournament, Greater Sarasota/Lakewood Ranch area. Ages: U9- U19 Boys and Girls. Teams: All USSF Affiliates including but not limited to USYS, US Club, Super Y, AYSO, SAY and All FIFA Affiliates. Contact: Bill Fisher or visit www.chargerssoccer.com Approved Application to Host. 1-4: Disney Soccer Showcase Qualifier, ESPN Wide World of Sports & approved off-site venues. Ages: U15-U19 Girls. Teams: All USSF and FIFA Affiliates. Contact: Mark Luster or visit www.disneysoccer.com Approved Application to Host. 2-3: 8th Annual Bazooka Soccer Cup Invitational. Simmers Young Park-Winter Haven, FL. Ages: U9-U19 Boys and Girls. Teams: All USSF Affiliates. Contact: Boni Okafor or visit www.bazookasoccer.com Approved Application to Host. 2-3: The Publix Labor Day Cup. Naples,FL. Ages: U9-U19 Boys and Girls. Teams:All USSF Affiliates. Contact: Jeff Pinteralli or visit www.soccerskillsunlimited.org Approved Application to Host. 2-3: Endless Summer Soccer Tournament, Frank Nelson Park-Panama City, FL. Ages: U9-U18 Boys and Girls. Teams: All USSF Affiliates. Contact: Mike Burke or visit www.endlesssummersoccer.com Approved Application to Host. 2-4: The Villages Cup. 703 N. Buena Vista Blvd. Ages: U9-U19 Boys and Girls. Teams: All USSF Affiliates. Contact: Anderson DaSilva or visit www.thevillagescup.com Approved Application to Host. 2-4: 25th Annual First Coast Labor Day Shootout. Patton Park- Jacksonville, Fl. Ages: U9-U19 Boys and Girls. Teams: All USSF Affiliates. Contact: John Turner or visit www.armadafcyouth.com Approved Application to Host. 15-17: Adidas Fall Classic. Brandon/Tarpon Springs. Ages:U9-U19 Boys and Girls. Teams:All USSF Affiliates. Contact: Cathy Siwek or visit www.fcflames.com/tournaments/adidas-fall-classic Approved Application to Host. 15-17: The 10th Annual Goal to Goal Cup. St. Petersburg, FL. Ages: U9-U19 Boys and Girls. Teams:All USSF Affiliates. Contact: Jeff Pinteralli or visit www.soccerskillsunlimited.org Approved Application to Host. 16-17: 5th Annual Naples Cup. Naples, FL. Ages: U9-U15 Boys and Girls. Teams: ALL USSF Affiliates. 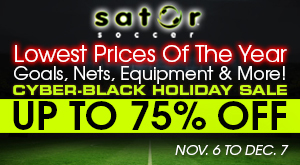 Contact: Scott Spencer or visit www.premiersoccerservices.com Approved Application to Host. 22-24: United Soccer Cup, Plantation, FL. Ages: U9-U14 Boys and Girls. Teams: All USSF and FIFA Affiliates. Contact: Jairon Moreno or visit www.unitedsocceracademy.org/page/show/890517-united-soccer-cup Approved Application to Host. 29-1: 26th Largo Halloween Tournament, Pinellas County, FL. Ages: U9-U14 Boys and Girls. Teams: All USSF Affiliates. Contact: Ben Sousa or visit www.largounitedsoccer.com Approved Application to Host. 6-8: 21st Annual (2017) West Pines Kickoff Classic, Pembroke Pines, FL. Ages: U9-U19 GIRLS. Teams: All USSF &FIFA Affiliates. Contact: Bill Fisher or visit http://westpinesunited.org/west-pines-kickoff Approved Application to Host. 6-8: Alliance Cup. Championsgate, Davenport. Ages:U9-U18 Boys and Girls. Teams: All USSF & FIFA Affiliates. Contact: Chris Waugh or visit www.globalpremiersoccer.net/alliancecup Approved Application to Host. 6-8: Adidas Columbus Day Classic. Tampa, FL. Ages: U9-U19 Boys and Girls. Teams: All USSF Affiliates. Contact: Eric Sims or visit ww.tbusc.com Approved Application to Host. 7-8: 2017 APC Chalice Cup, Premier Sports Campus. Ages: U9- U19 Boys and Girls. Teams: All USSF Affiliates. Contact: Ryan Morgan or visit www.chalicecup.com Approved Application to Host. 7-8: 16th Annual Bazooka Soccer Classic. Kissimmee,FL. Ages:U9-U19 Boys and Girls. Teams:All USSF & FIFA Affiliates. Contact: Boni Okafor or visit www.bazookasoccer.com Approved Application to Host. 7-8: Orlando City Cup, SSC, Sylvan, East Lake (Sanford). Ages:U9-U19 Boys and Girls. Teams:All USSF Affiliates. Contact:Tanya Neidert or visit www.orlandocityyouth.org Approved Application to Host. 13-15:21st Annual (2017) West Pines Kickoff Classic, Pembroke Pines, FL. Ages: U9-U19 BOYS. Teams: All USSF & FIFA Affiliates. Contact: Bill Fisher or visit http://westpinesunited.org/west-pines-kickoff Approved Application to Host. 13-15: Destin Soccer Rodeo, Destin, FL. Ages: U9-U19 Boys and Girls. Teams: All USSF Affiliates. Contact: Ed Espinoza or visit http://soccer.sincsports.com/TTContent.aspx?tid=DESTINSS&tab=1 Approved Application to Host. 21-22: 2017 PBG Classic, Palm Beach Gardens, FL. Ages: U9-U19 Boys and Girls. Teams: All USSF Affiliates. Contact: Steve Lovgren or visit www.pbgardenclassic.com Approved Application to Host. RESCHEDULED 21-22: Ft. Myers Kick Off Classic. Kelly Rd- Ft. Myers, FL. Ages: U9-U19 Boys and Girls. Teams: All USSF Affiliates. Contact: Gavin Spooner or visit www.kickoffsoccer.org Approved Application to Host. 27-29: IVP World Cup Qualifer by FIGO7. Premier Sports Campus. Ages:U8-U19 Boys and Girls. Teams: All USSF Affiliates. Contact: Steve Lovgren or visit www.ivpbyfigo7.com Approved Application to Host. RESCHEDULED 28-29: Naples Kick Off Classic. North Collier Park- Naples, FL. Ages: U9-U19 Boys and Girls Teams: All USSF Affiliates. 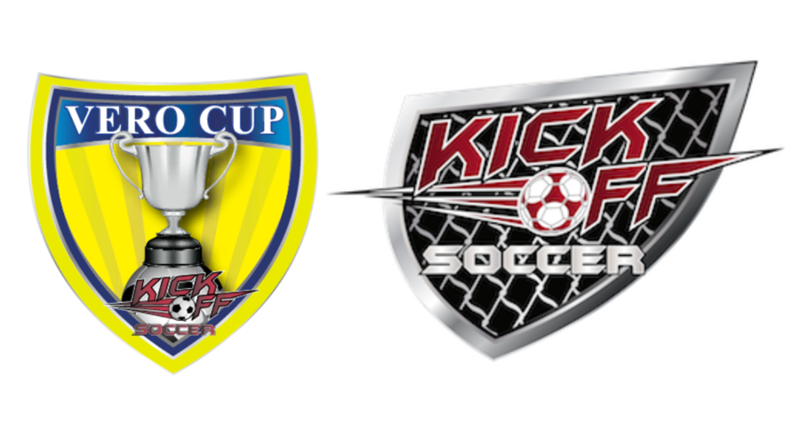 Contact: Gavin Spooner or visit www.kickoffsoccer.org or www.floridafirejuniors.com Approved Application to Host. 4-5: The Pre-Thanksgiving Gold Cup. South Florida. Ages: U9-U19 Boys and Girls. Teams:All USSF Affiliates. Contact: Jeff Pinteralli or visit www.soccerskillsunlimited.org Approved Application to Host. 4-5: Miami Soccer Festival 2017. Kendall Soccer Park. Ages:U5-U12 Boys and Girls. Teams: All USSF Affiliates. Contact: Scott Georgeson or visit www.miamisoccerfestival.org Approved Application to Host. 4-5: RESCHEDULED- Blue Angel Classic, Pensacola, FL- Ashton Brosnaham Park. Ages: U10-U19 Boys and Girls. Teams: All USSF Affiliates. Contact: Matthew Ruckman or visit www.gulfcoasttexans.com/blueangelclassic Approved Application to Host. 11-12: Brevard Recreational Classic-9th Annual. Max Rhodes Park- Melbourne, FL. Ages:U9-U19 Boys and Girls. Teams: All USSF Affiliates. Contact: William Quinter or visit www.brevardsoccer.net Approved Application to Host. 17-19: 2017 United Cup, Trotters Park. Ages: U9-U15 Boys and Girls. Teams: All USSF Affiliates. Contact: Ryan Morgan or visit www.unitedcup.org Approved Application to Host. 17-19: Phoenix Cup, Fred Poppe Regional & Max Rodes Parks. Ages: U9-U14 Boys and Girls. Teams: All USSF Affiliates. Contact: Timm Gacioch or visit www.brevardsoccer.org Approved Application to Host. 18-19: Bazooka Soccer Pre Thanksgiving Cup. Apopka, FL. Ages:U9-U16 Boys and Girls. Teams:All USSF Affiliates. Contact: Boni Okafor or visit www.bazookasoccer.com Approved Application to Host. 23-26: Disney Girls Soccer Showcase. ESPN Wide World of Sports & approved off-site venues. Ages: U11-U19 Girls. Teams: All USSF and FIFA Affiliates. Contact: Mark Luster or visit www.disneysoccer.com Approved Application to Host. 24-26: The Soccerskills Thanksgiving Cup. Bradenton, Fl. Ages: U9-U19 Boys and Girls. Teams:All USSF Affiliates. Contact: Jeff Pinteralli or visit www.soccerskillsunlimited.org Approved Application to Host. 24-26: 2017 Thanksgiving Soccer Cup, Greater Clearwater Area. Ages:U9-U14 Boys and Girls. Teams:All USSF Affiliates including but not limited to USYS, US Club, Super Y, AYSO, SAY and All FIFA Affiliates. Contact: Bill Fisher or visit www.chargerssoccer.com Approved Application to Host. 24-26: Plantation Thanksgiving Classic, Plantation, FL. Ages: U9-U19 Boys and Girls. Teams: All USSF &FIFA Affiliates.Contact: Billy Rivera or visit www.plantationfc.com Approved Application to Host. 25-26: St. Pete Raiders Pre-Season Kick-Off, Puryear Park. Ages:U9-U14 Boys and Girls. Teams: Only US Youth and FYSA Affiliates. Contact: Mike Winsor or visit www.stpeteraiders.org Approved Application to Host. 1-3: 2017 Florida Winter Cup & Showcase. Ormond Beach Sports Complex. Ages: U9-U19 Boys and Girls. Teams: All USSF Affiliates. Contact: Steve Lovgren or visit www.floridawintercup.com Approved Application to Host. 1-3: 2017 NCAA College Cup. Sanford, FL. Ages: U15-U19 Boys and Girls. Teams: All USSF &FIFA Affiliates. Contact: Tanya Neirdert or visit www.orlandocitysc.com Approved Application to Host. 2-3: The Gulfcoast Cup. Naples, FL. Ages:U9-U12 Boys and Girls. Teams: All USSF Affiliates. Contact: Jeff Pinteralli or visit www.soccerskillsunlimited.org Approved Application to Host. 2-3: Vero Winter Cup, Hobart Park- Vero Beach, FL. Ages:U9-U19 Boys and Girls. Teams: All USSF Affiliates. Contact: Gavin Spooner or visit irsoccer.com or kickoffsoccer.org Approved Application to Host. 9-10: The Sports Recruiting USA Showcase, Naples, FL. Ages:U15-U18 Boys and Girls. Teams:All USSF Affiliates. Contact: Jeff Pinteralli or visit www.soccerskillsunlimited.org Approved Application to Host. 9-10: Tottenham Hotspur America Trophy. Boombah Sports Complex- Lake Mary, FL. 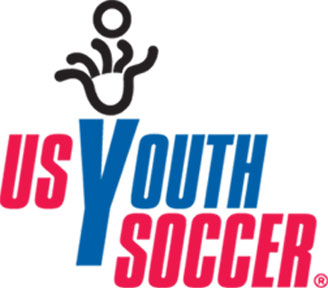 Ages: U11-U15 Boys Teams: All USSF Affiliates. Contact: Mike Libber or visit www.elitetournaments.com Approved Application to Host. 16-17: RESCHEDULED-South Florida Soccer Classic. Naples, Fl. Ages:U9-U19 Boys and Girls. Teams: All USSF Affiliates. Contact: Boni Okafor or visit www.bazookasoccer.com Approved Application to Host. 18-22: 2017 Prospects Cup, Champions Gate. Ages: U12 Boys Teams: All USSF and FIFA Affiliates. Contact: Bill Fisher or visit www.prospectscup.com Approved Application to Host. 27-31: Disney Boys Soccer Showcase, ESPN Wide World of Sports & approved off-site venues. 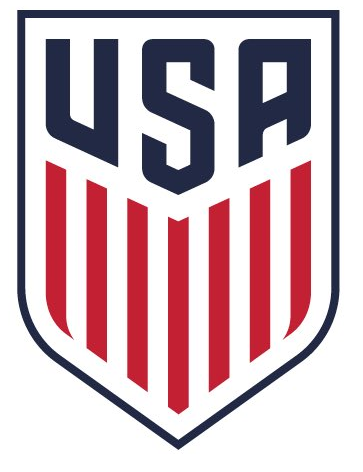 Ages: U11-U19 Boys Teams: All USSF and FIFA Affiliates. Contact: Mark Luster or visit www.disneysoccer.com Approved Application to Host. 28-30: Orange Classic Int'l Girls Soccer Tournament, Plantation, FL. Ages: U10-U19 Girls Teams: All USSF and FIFA Affiliates. Contact: Cathy Tufts or visit www.theorangeclassic.com Approved Application to Host. 28-30: 2017 PSC Invitational, Premier Sports Campus. Ages:U9-U19 Boys and Girls. Teams: All USSF Affiliates. Contact: Steve Lovgren or visit www.pscinvitational.com Approved Application to Host.